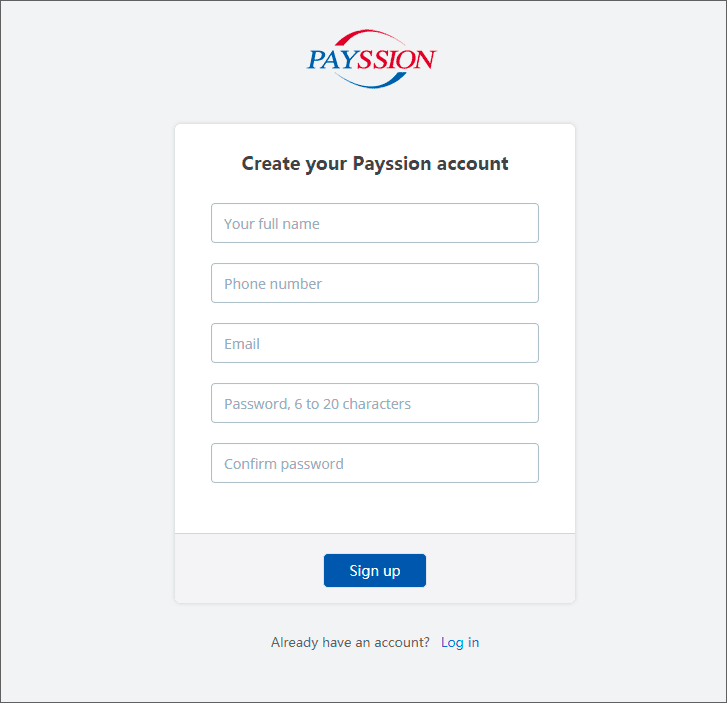 Visit https://payssion.com to sign up for an account. 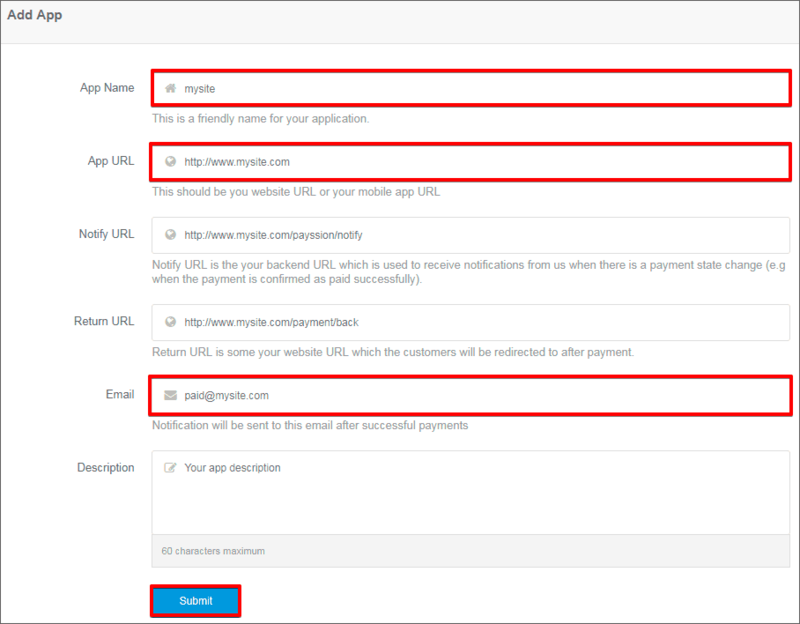 Log in your account and click Merchant Services in the left menu, then click Add App – > Use direct API. 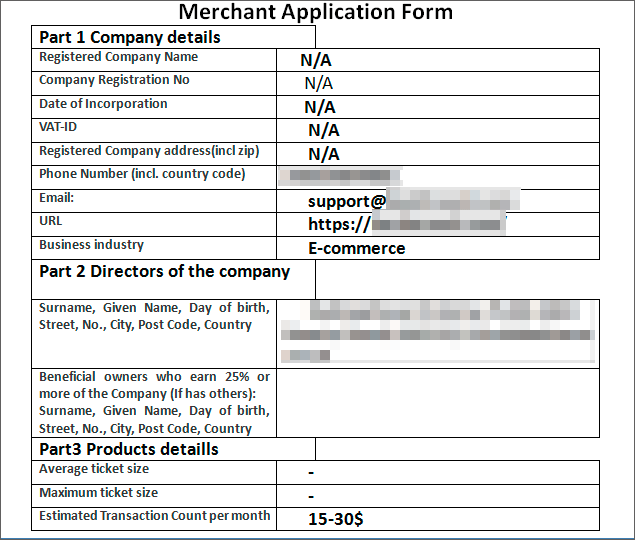 Fill in your app details as shown on the screenshot. You need to put your app name which could be the name of your store, your domain name and your email. Other fields could be remained empty. Click ‘Submit’. You will find the api_key and secret_key after creating your app. Now your account is in Pending status. To complete a verification process and get Active status you need to fill in an application form which will be sent on your email. If you’re individual you can leave company part as N/A. So, you need to fill in these fields: Phone Number, Email, URL, Business industry, Surname, Given Name, Day of birth, Street, City, Post Code, Country, Estimated Transaction Count per month. The registration normally takes less than 3 business days. After a final approval your account status will be changed to Active. 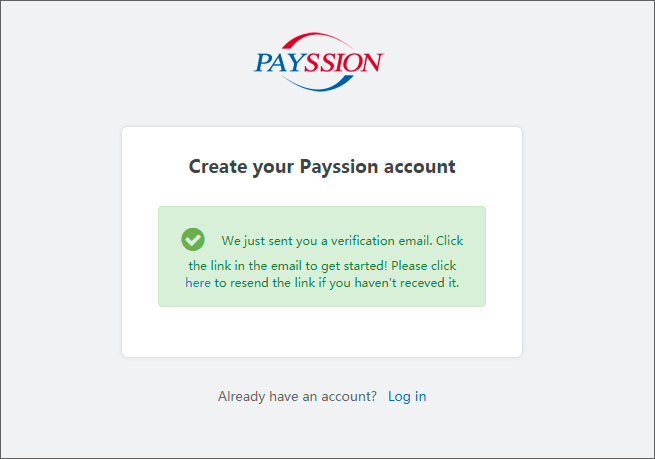 Once your account is approved you will get the list of all available PM IDs on your email. Or use this link to look through it. 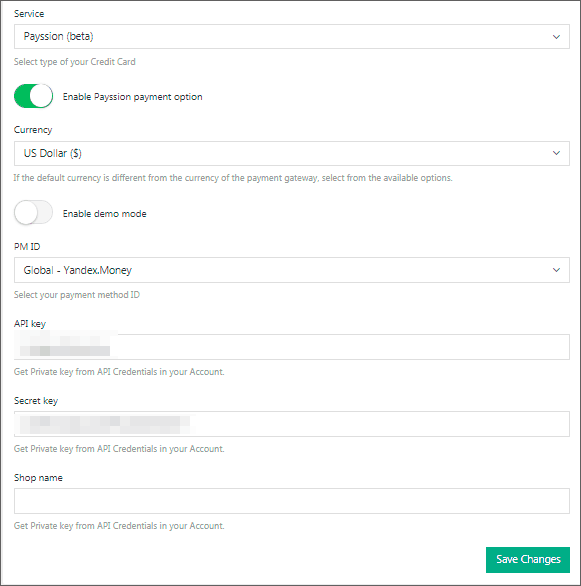 After that go to AliDropship -> Settings -> Payments -> Credit Cards -> Payssion (Beta) -> enable Payssion payment option, select Currency and PM ID of the payment solution you need, insert API key and Secret key (which you got when you created your App) and Save changes.